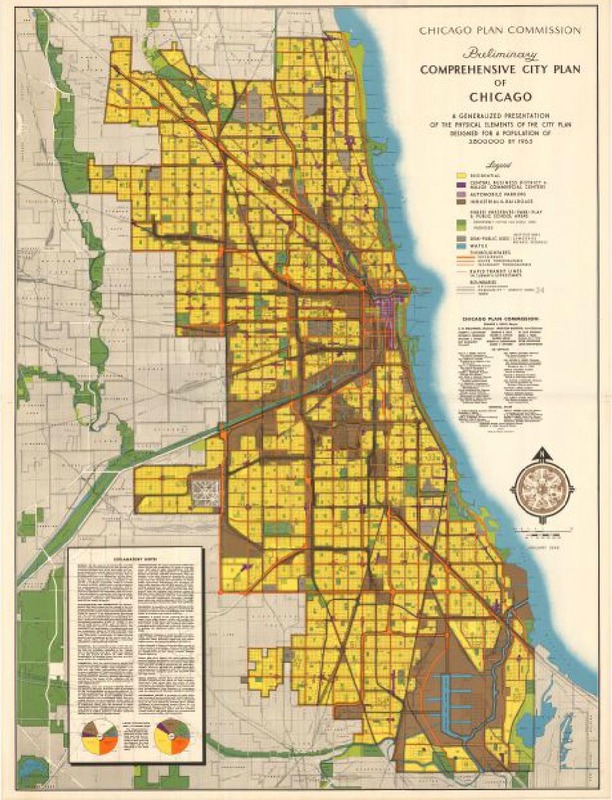 Preliminary comprehensive city plan of Chicago, 1946. A William Randolph Hearst publication. One of Chicago's alternative newspapers. Offers full page and article images with searchable full text. The collection includes digital reproductions providing access to every page from every available issue, 1849-1986. Recent issues of the Tribune. Does not include pdfs. Chicago's "oldest community newspaper" serving Hyde Park and Kenwood. Use these databases to find articles from Chicago newspapers. Includes a broad collection of African American newspapers, including 18 published in Chicago, most from the early to mid-20th century. Contains many of Chicago's leading newspapers in the 19th and early 20th centuries. Provides full text of issues from hundreds of American newspapers published between 1699 and 1922, with near exhaustive coverage for newspapers that began publication before 1820. Translations of selected news articles appearing in the Chicago area foreign language press from 1861 to 1938. The Chicago Foreign Language Press Survey was published in 1942 by the Chicago Public Library Omnibus Project of the Work Projects Administration of Illinois. From the Newberry Library. Includes smaller papers for Chicago and surrounding suburbs. Select "Sources - By Region" and "Illinois". Includes smaller papers for Chicago and surrounding suburbs. Use the "location" index to find Chicago papers. The database newspapers published by Hispanic Americans, Native Americans, and immigrant communities in the US. Hispanic American Newspapers, 1808-1980 represents the single largest compilation of Spanish-language newspapers printed in the U.S. during the 19th and 20th centuries. The distinctive collection features hundreds of Hispanic American newspapers, including many long scattered and forgotten titles published in the 19th century. Select newspaper search, then "Illinois" and "Chicago" to see a list of available newspapers. Use the keyword search then " Illinois" and "Chicago"to search across the papers by topic. Below are additional resources for identifying Chicago newspapers. This database includes U.S. newspapers held in print or microform by the University of Chicago Library, based on a survey conducted by the Illinois Newspaper Project in 1999. This resource is NOT UPDATED. The Chicago History Museum's Research Center has an extensive collection of Chicago and suburban newspapers. The Museum also maintains a newspaper clipping file. The Chicago Public Library has one of the largest collections of Chicago and suburban newspapers in the Chicago area. Along with the microfilm collections, Municipal Reference Collection holds an extensive clipping file and the Special Collections Department holds some neighborhood newspapers. Search newspaper holdings at libraries around Illinois, compiled by the Illinois Newspaper Project. Includes some holdings for Chicago newspaper. Microfilm of Illinois newspapers, including scattered issues from a wide variety of Chicago papers from the 19th and 20th centuries. Click on the collection for a list of titles.